This is an interesting if somewhat rambling satire on our increasingly uncaring and divided society with a few swipes at modern art. 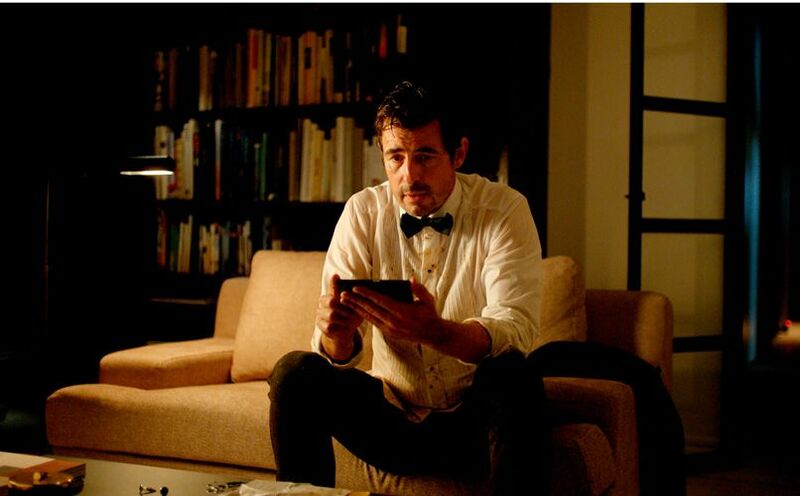 Christian (Claes Bang) is the curator of an old museum newly converted to the display of contemporary art. The destruction of the old is symbolised early in the film, when workman removing a statue of a horse and rider from the plaza in front of the museum manage to destroy it. The statue is then replaced by the square of the title, an installation described by its artist as “a sanctuary of trust and caring, within which we all share equal rights and obligations.” Which is implicitly a description by the film’s director Ruben Östlund of what our contemporary society is not. Bang is perfectly cast as Christian, the main representative of that uncaring society. Handsome, intelligent and charismatic, we are initially drawn to that charisma. But as the film progresses, he is increasingly revealed as selfish, conceited and self-obsessed. The story kicks off when Christian is robbed of his mobile phone, wallet and cufflinks on the plaza in front of the museum, where the art installation is displayed. He tracks the phone by its “find me” device to a block of social housing and puts an insulting letter accusing the recipient of the theft through every letterbox in the block, on the assumption that anyone who lives in such a block is of little consequence, while at the same time paying hypocritical lip service to the plight of the homeless and other deprived members of society. Other areas of Christian’s shallowness and lack of judgement are revealed through his one night stand with an American journalist Ann (Elisabeth Moss), his meetings with a PR company who come up with a literally explosive idea for a video to promote the “square” exhibit, which he inexplicably agrees to without actually viewing the controversial product and his choice of entertainment for a posh fund raising dinner for rich sponsors of the museum. This disturbing sequence, which becomes the central set piece of the film, involves choreographer and stunt man Terry Notary playing Oleg, a near naked man impersonating a gorilla, confronting the elegantly dressed guests, who gets totally carried away with his act. This and certain other aspects of the satire become surreal and inexplicable. As in why does Ann keep a chimpanzee in her apartment? Others are amusing, such as an exhibit of piles of gravel, which are accidentally reduced in size when the cleaners a vacuuming and a pointed cameo from Dominic West as an art critic. As a product of Scandinavia, widely regarded as one of the most socially enlightened and fair societies in the world, this is an interestingly grim and perhaps surprising view of the unequal, selfish and mistrustful society. By the end of the film you might find yourself thinking by implication, what a ridiculous piece of work is man himself.